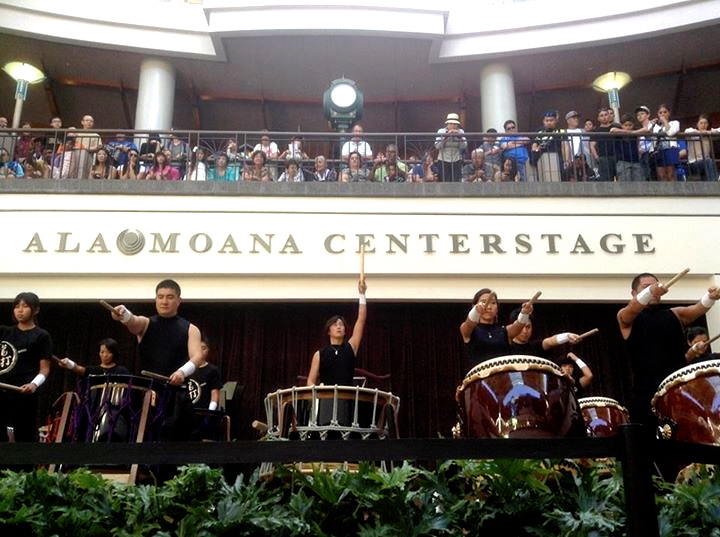 (Honolulu, HI)— When was the last time you’ve watched a taiko drum performance? The highly skilled syncopation of a row of drummers, the athleticism that goes in to beating the drums, the full-bodied music—it’s as fascinating to watch as it is to listen—especially when the performing group is Dragon Beat. Master Taiko Percussionist Tsutomu Nakai established Dragon Beat in 2012 in Hawaii, offering lessons to students of all ages—starting as young as two years old. The Dragon Beat style is often described as energetic and upbeat, a blend of traditional Japanese taiko drum arrangements with a focus on rhythm, form, and performance. Nakai also specializes in Yatai-bayashi, the performance style often seen at Japanese cultural festivals (such as O-bon) and is known to require high physical endurance. Nakai also offers workshops for businesses and groups as well as private lessons and a fitness program for seniors looking to stay active and in shape. His father was his first teacher, an ondo tori (a Bon Festival singer) as well as a master taiko percussionist in his right. The apple didn’t fall far from the tree, Nakai (son) soon became an expert in a diverse range of Taiko styles, gaining performance experience at local festivals at ten years old. Nakai now specializes in a solo performance style called Katsugi Oke, in which he plays a taiko drum made of horse skin hanging from his shoulder. He is also passionate about performing in ensemble pieces. Nakai is considered a veteran in the taiko performance world, having played all over Japan with a professional group called Wa Taiko Yu. The group, highly in-demand, saw over 20 stage performances annually. Eventually, Nakai and his co-members establish Wa Taiko Sasuke in 2009; a performance league with the purpose of introducing taiko to those interested in learning the art of taiko drums directly from professional artists. It was the success of this group that inspired Nakai to start his company overseas in Hawaii. Tsutomu Naki also recently released his debut album, Dancing Dragon, an LP of soul-stirring taiko and Hawaiian drums. The sound is unique—one that can only come together through Nakai’s unique perspective on Hawaii and Japan through the world of taiko drums. The album is available for purchase online at store.cdbaby.com/cd/tsutomunakai. Those interested in lessons or a booking can reach Tsutomu Nakai at dragonbeat1111@gmai.com.